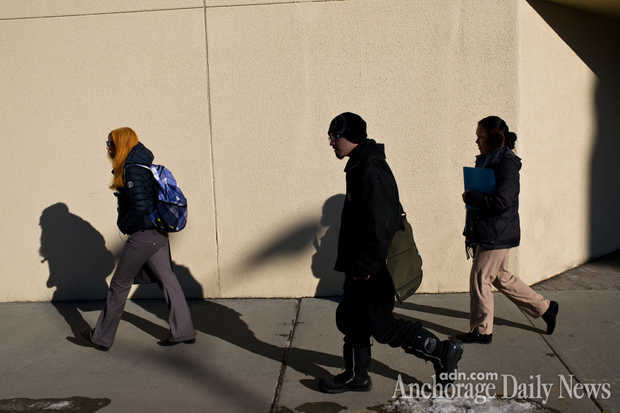 Simone, Leah and RJ leave the house together on a clear day, walking to a job fair at the Egan Center downtown. Simone has graduated from Clitheroe Center, she says. She hopes to finish her last high school credits at Nine Star and graduate in June. Carol isn’t so sure that will happen. A guy she was seeing after they met at a recovery group broke up with her a couple of days ago, she says. It’s probably for the best, she says, since she’s not supposed to get emotionally attached to anyone right now. Sometimes the devil puts distractions in her way, she says. 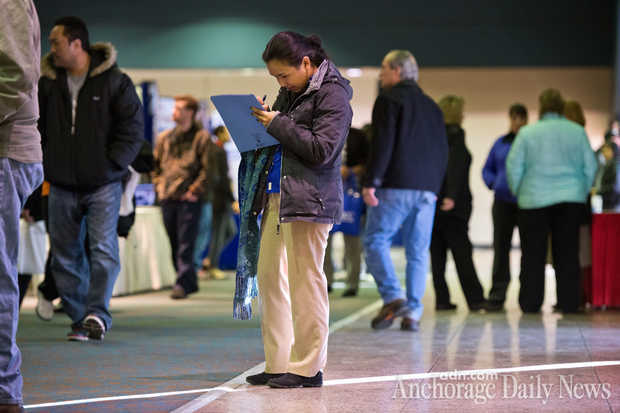 Leah is looking for work because she stopped going to classes at UAA in the middle of the fall semester. At the job fair, Leah carries a folder of resumes. She wants to talk to a radio station. She speaks with a man from KZND, and is encouraged when he writes “experienced” on her resume. She seems ambivalent about talking to anyone else. After a few minutes, she’s ready to leave. RJ speaks briefly with an Army recruiter. He might be interested in the Army, he says, although it seems pretty permanent and probably would get in the way of crewing on his brother’s boat in the summer.